"Whatchu talkin bout, Willis Jon Farleigh???" To be clear, have a great Wednesday! Very cute, Dewi - will we be seeing you in a celebrity look-alike contest soon? 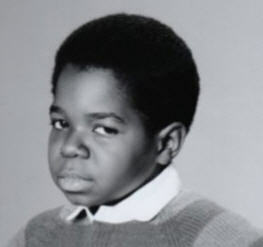 Dewi's too young to remember Diff'rent Strokes. Who taught him that look? @RDM - Ha ha. I can't even get my own kids to do what the muppet's say sometimes. And I have to take up their "toys," too.